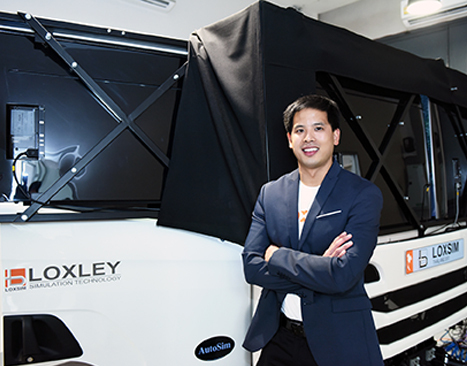 Loxley Simulation Technology Co (LoxSim), a subsidiary of Loxley Plc, is teaming up with Mekong Institute (MI) to promote the use of green logistics through a collaboration on a truck driving simulator. Wansit Chatikavanij, chief executive of LoxSim, said the collaboration primarily involves developing truck drivers, logistics and supply chain managers' knowledge regarding economic driving and green freight in the Greater Mekong Subregion (GMS), comprising Cambodia, Laos, Myanmar, Vietnam, Thailand and Yunnan in China. The memorandum of understanding calls for a two-year collaboration by sharing knowledge and research through the truck driving simulator to enhance logistics and supply chain information for companies focusing on fuel-efficient driving, safe driving and environmentally friendly concepts. 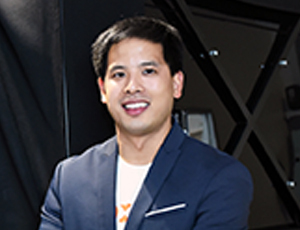 Mr Wansit said "fuel-efficient driving techniques" will allow fleet managers and drivers to understand different ways to become more efficient and environmentally friendly, especially by reducing fuel consumption and release of carbon dioxide through better driving habits and mindset. He said that in keeping with the principles of eco-driving and green logistics, changes in driving behaviour, operating within the speed limit to avoid harsh acceleration and braking will ultimately result in more efficient fuel consumption and less damage to vehicles. With these techniques and mindsets, green logistics education will in turn help support the environment through reduction of excessive carbon emissions. Mr Wansit said the collaboration with MI will serve as the first step towards regional market opening, which includes encouragement and education for entrepreneurs in Thailand and neighbouring countries on green logistics awareness. "Most operators focus on the technology of their vehicles but forget that the key factor is the driver," he said. "A driving simulator can expose drivers to dangerous driving conditions in a realistic, simulated virtual environment that would not be possible in real life. This solution is seen as a convenient tool to train at any time in a safe virtual environment." Mr Wansit said that next year LoxSim will begin to look at the medical emergency and disaster management market. The firm will emphasise cooperation with various educational institutes by bringing in new simulator technologies to produce research for further improvements to both professional training and education.